Pavlina Boroshova Semadeni, known simply as PAVLINA, is a Swiss artist with cosmopolitan influences. She was born in Czechoslovakia, now known as the Czech Republic. Pavlina's German mother and her Slovakian father came from very different social and cultural backgrounds. Pavlina was two years old when they decided to leave everything behind and relocated with their two daughters to the Lake Constance region of Germany. Growing up there, she was influenced by the two different cultures. Very early in life she was forced to deal with her father’s melancholy moods and his tragic demise in 1989. After completing secondary school, Pavlina had an irresistible need to discover new horizons. Thus, aged 18, she decided to leave her adopted homeland to study English, spending one year in Hawaii. The experience of nature combined with the spirituality of the islands inspired her deeply. Pavlina's drive to understand life is resumed by a comment of the contemporary philosopher Pierre Rabhi who says: "We should answer our profound vocation, what is not to produce and consume endlessly but to love, admire and protect life in all of its forms." Pavlina is influenced by several authors: C.G. Jung, Dalaï-Lama, Albert Einstein, Eileen Caddy, Khalil Gibran, Goethe, Krishnamurti, Dr. Kübler-Ross, Edgar Cayce, Neale Donald Walsch, and others. This research finds its artistic reflection in Pavlina's painted visions, faces and gestures which express the evolution of the inner self. 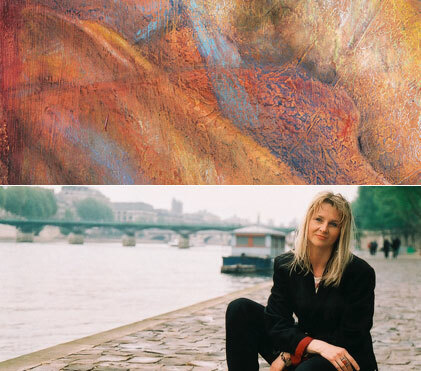 In 1986, she enrolled at the Sorbonne to study French; while living in Paris, in 1987 she met the famous Visionary Artist Gérard Di-Maccio who recognized Pavlina's talent. She began studying and working with him in 1988 for five years (1987-1992), travelling between their studios in Paris and at the Château d'Espalays in Port-Sainte-Marie, in the Lot-et-Garonne region of France. Pavlina completed her education at the Atelier de la Grande Chaumière in Paris and travelled to Canada, Taiwan and Japan to discover new inspiration and new cultures. Gérard Di-Maccio is one of the leaders of Contemporary Visionary Art and there is a museum in northern Japan dedicated to him, the Di-Maccio Visionary Art Museum. Pavlina returned to Germany in 1992, where she held an extensive personal exhibition at a gallery in the Lake Constance region. Her works symbolise the union between humanity and its profound nature, where strength and fragility, delicately juxtaposed, come together. In 1993, Herbert Segmüller, student and assistant of Max Bill, introduced Pavlina to him. Max Bill was a significant artist of the International Contemporary Art scene. Herbert Segmüller suggested that Pavlina creates a solo show in 1995 for the opening of his atelier-gallery next to the Zurich Kunsthaus, where she finally exhibited twice. The project has been supported also by Max Bill. At the same time Pavlina met the artist HR Giger who invited Pavlina to his atelier and house in Oerlikon ZH and came regularly to her exhibitions in Zurich. 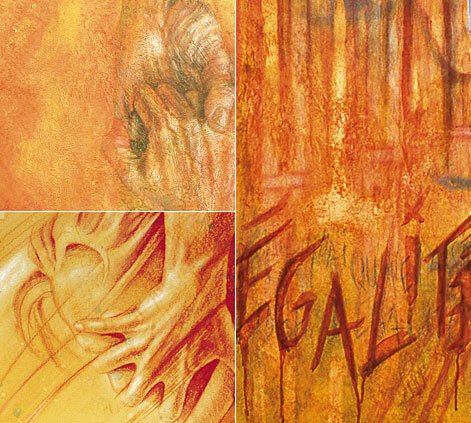 Several of her paintings were exhibited in 2006 at the HR Giger Museum in the 400-year old historic, medieval walled city of Gruyères, Switzerland, together with the international group "Society for Art of Imagination". Pavlina's paintings have been shown in more than 100 exhibitions held in France, Germany, Switzerland, Belgium, Italy, the Netherlands, Russia, India and Brazil. Her work has also been displayed in Osaka, London and Miami. 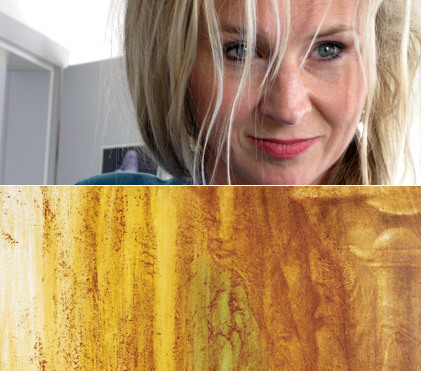 In 1999, she moved her studio to Lausanne and then later to Montreux, where she obtained Swiss citizenship and currently lives there with her family. Her "universe of mysterious faces in the magical world of the subconscious" (L’Extension newspaper, Geneva) has been critically acclaimed. The French press has praised "her glazes, which are marvellously superimposed like layers of bark revealing the inner self" (Ouest-France). The newspaper, Républicain Lorrain, has commented that "when you look at her canvases, you tremble with that light-headedness that gently encourages you to search for your roots and even beyond them, to dig deeply and to identify that which is masking appearances, to discover all of our unique features". Pavlina's works have been shown in galleries, foundations, art fairs, cultural centers and in museums: Châteauroux Museum in France, Tibet Museum and HR Giger Museum in Switzerland, "New Museum" of the Salem Monastery and Palace of Germany. In 2018/19 her works are on display in the Naia Museum, France et the Mazot-Museum, Switzerland. 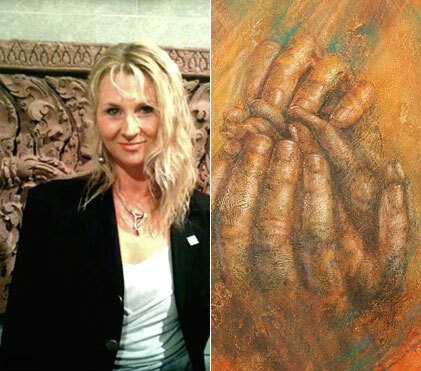 In 2004, Pavlina participated at an important group exhibition held in the Castle Riegersburg in Austria, where she met the famous artist Professor Ernst Fuchs, a good friend of Salvador Dali, another well known leader of the visionary movement in Europe. The organizer Dr. Cornelia Eibl presented Fuch's work there along with numerous international painters. Pavlina and HR Giger were the visionary artists representing Switzerland. The Salon Comparaisons of Paris has hosted works by Pavlina since 2004 and subsequently since 2006, within the framework of the newly titled Art Capital-Comparaisons, which is a Federation that brings together the Historic Halls France of the Grand Palais. Pavlina was awarded the "Prix européen francophone des Arts Léopold Sédar Senghor" in Paris for her entire art collection in 2005. That same year she was honored with her first retrospective at the "New Museum" of the Salem Monastery and Palace in the Lake Constance region of Germany. 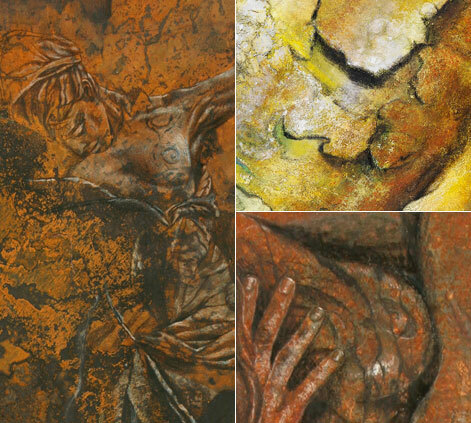 Pavlina's paintings received different awards, also in 2007 and 2013 at the SNBA Annual Exhibition - Société Nationale des Beaux Arts of France, in Paris at the Carrousel du Louvre. Two art books were published and then presented in 2009 at the art fair Montreux held at the Congress Center of Montreux, Switzerland, where PAVLINA was the guest-of-honor with a solo exhibition. The Geneva publishing house 'Les éditions du Tricorne' added the twin art books of 132 pages each to their collection in 2009 : a monography "PAVLINA - Twenty years of passion", a high quality book illustrating a selection of 45 main works, with philosophical quotations that influenced her artistic development, as well as references and texts from art critics - in French, English and German. The second book "PAVLINA, Claude LUEZIOR - Espaces et transparences" contains the same selection of 45 main works and is an interpretation of her paintings in poetic form written in French by the Swiss writer Claude Luezior, prizewinner of the "Académie Française". The book reflects the artistic collaboration between the two creators, the introduction was written by Michel Bénard, writer, artist and also prizewinner of the "Académie Française". In 2010, Pavlina extended her artistic expression by creating monumental 'outdoor pieces' in aluminium, paper and other supports. They are exhibited in public areas as well as on external walls of private and public buildings in various parts of Switzerland. These paintings which hang in the Valais region can be seen on this website under "Works" - "Large Format". In addition Pavlina's art is represented on several book covers, CD's and magazine covers. In 2014, for the first time, The Tibet Museum invited a painter to exhibit in their sacred space. Pavlina prepared a solo show for this with paintings inspired by the ancient sculptures in the Alain Bordier collection of the museum. The works were entitled "Pavlina and the Sacred Art of Tibet", with a contribution by the well-known psychoanalyst, lecturer and author Guy Corneau. The museum specialises in Tibetan Buddhist art and is situated in the heart of the medieval city of Gruyères in Switzerland. You can view a short film on this website about the event which was produced one year later. Professor Philip Rubinov Jacobson, painter, writer and official successor of the famous Ernst Fuchs, with the visionary painter Mantra Cora, invited about a hundred artists from diverse foreign countries. This exhibition "A Legacy of Light" was a tribute to his mentor and friend, who died just a few months previously. The exhibition also celebrated the 20th anniversary of "Old Masters - New Visions" in Austria. Pavlina participated in this extensive exhibition held in Castle Gloggnitz in 2016. Since 2016 Pavlina is the founder of the Project Visionary Art in Switzerland. 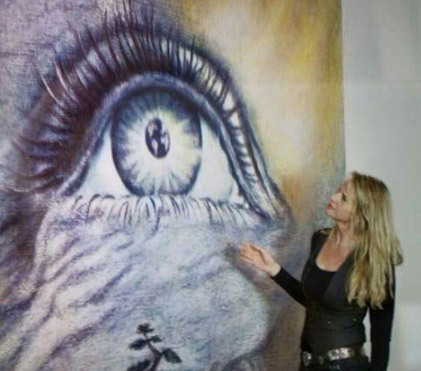 She would like the public to discover more Visionary Art and therefore, since 2017 she has become the curator of the 1st International exhibition of Visionary Art shown in an Art Fair in Switzerland. The project was on display at the contemporary art fair of Montreux, Pavlina invited four visionary museums and 30 international artists to exhibit their work in a 500 m2 area at the Congress Center 2m2c in Montreux, situated on the shores of Lake Geneva in Switzerland. The Visionary Museum Naïa, Rochefort-en-Terre of France will show Pavlinas works in 2018 and she is also invited to create a solo show at the Mazot Museum in Switzerland. Since 2017 Pavlina is the founder and president of the International Visionary Art Association "Art Visionnaire - Switzerland Montreux". 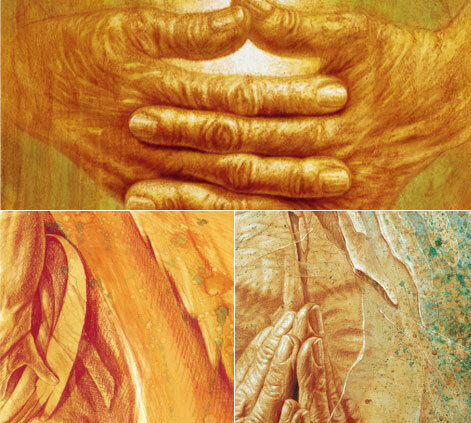 The association brings together visionary artists from all over the world who are chosen for the quality of their personal and creative expression. More informations are in the chapter "Association" on this website. In 2019, the Swiss Museum "L'Atelier de Grandi" invites Pavlina to give a conference about Visionary Art. The museum is situated in Corseaux/Vevey in the region Lake of Geneva. Pavlina is a member of the Taylor Foundation, Paris/ the Society for Art of Imagination, London/ the cultural center Maison Visinand of Montreux, Switzerland/ the French-German association PAIR, France/ Sociétaire of the Société Nationale des Beaux-Art of France (SNBA).